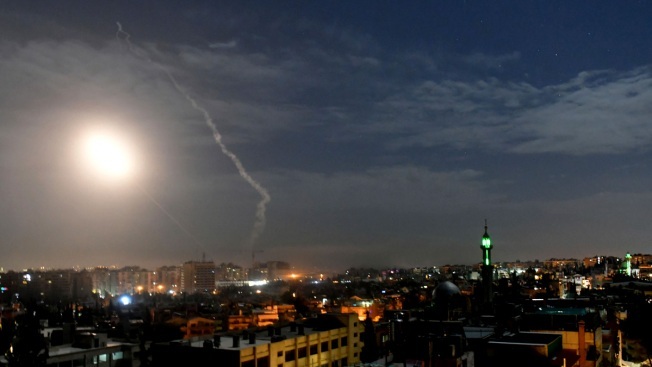 An Israeli military spokesman called it a "retaliatory strike against active aggression by Iran"
This photo released by the Syrian official news agency SANA, shows missiles flying into the sky near an international airport, in Damascus, Syria, Monday, Jan. 21, 2019. In a very unusual move, the Israeli military has issued a statement saying it is attacking Iranian military targets in Syria. It is also warning Syrian authorities not to retaliate against Israel.